When the mercury soars dangerously high, air conditioning can help save lives that might otherwise be lost to heat exhaustion, heat stroke, and other stresses brought about by heat waves. But there’s a downside: it can take a lot of electricity to keep you cool. New research published in PLOS Medicine earlier this month assesses what happens when the demand for air conditioning rises with the temperature, and why saving those lives might also cost lives. Senior author Tracey Holloway, a professor of atmospheric and oceanic science at the University of Wisconsin-Madison, explains. Tracey Holloway is a professor of Environmental Studies and of Atmospheric and Oceanic Science at the University of Wisconsin-Madison in Madison, Wisconsin. IRA FLATOW: Now it’s time to play good thing, bad thing. Because every story has a flip side. We’re halfway through 2018 and already breaking record temperatures for the lower 48 states this May. This May was the warmest May on record. And this June was the third warmest the US has experienced. So in response, of course, we turn up the air conditioning. To stay alive, for a lot of people, when mercury soars to dangerous heights, that’s what they need to do. But at what cost? New research published in PLOS Medicine earlier this month weighs the downside of cranking up the AC as the climate warms. Tracey Holloway, professor of environmental studies and atmospheric and ocean sciences, University of Wisconsin at Madison, is here to explain. Welcome to Science Friday. TRACEY HOLLOWAY: Thanks, Ira. It’s a pleasure to be here. IRA FLATOW: It’s nice to have you. I have been really grateful for my own air conditioning this summer. I mean, it has been so hot. But to what degree is air conditioning actually vital for people’s health? TRACEY HOLLOWAY: Well, the good news is that air conditioning is a really effective way of saving lives on hot summer days. Many studies have shown that having air conditioning at your home or going to cooling centers, where people can get access to air conditioning, really is an effective intervention in protecting health on hot days. IRA FLATOW: That is the good. What’s the bad news about this? TRACEY HOLLOWAY: Well, the bad news is that when all of these air conditioners are running, so are power plants around the United States. And most of our electricity comes from fossil fuels. So when we’re burning all of this electricity, we’re emitting a lot of chemicals into the air. And on the hot summer days, this is when the chemical reactions in the air are going fastest, and there’s a lot of air pollution being formed. So it’s the worst time to be emitting this extra air pollution from a health perspective. IRA FLATOW: –and the heat. What’s it making in that brew? TRACEY HOLLOWAY: The two main things are ground-level ozone– often referred to as smog– and this is a gas that has a lot of adverse impacts on human health and on agriculture, from making our eyes itchy to actually leading to premature death. The other pollutant that’s cooking up is called particulate matter. And this can be either liquids or solids that are sometimes directly emitted, like smoke from a barbecue, but what we’re talking about here are ones that form in the atmosphere through chemical reactions. IRA FLATOW: And is there a number for the number of people who die each year from it being too hot and being too hot out there? TRACEY HOLLOWAY: Yeah. About 600 people die each year– according to the CDC– from extreme heat. And this is considered an under-reported number. So it’s probably quite a bit more than 600 a year in the United States. IRA FLATOW: Closer to 1,000 you think? TRACEY HOLLOWAY: It’s hard to say. TRACEY HOLLOWAY: But it’s considered a conservative estimate. IRA FLATOW: So there is a trade-off here then. And, obviously, as the climate changes, it’s going to get hotter over this century, right? TRACEY HOLLOWAY: Yeah. Yeah. Exactly. IRA FLATOW: And so we’re going to be depending more on air conditioning. And the idea is, if we’re going to be getting more pollution, we have to find some way of cutting back on that pollution. TRACEY HOLLOWAY: Right. And the good news is that this is something that’s within our control. 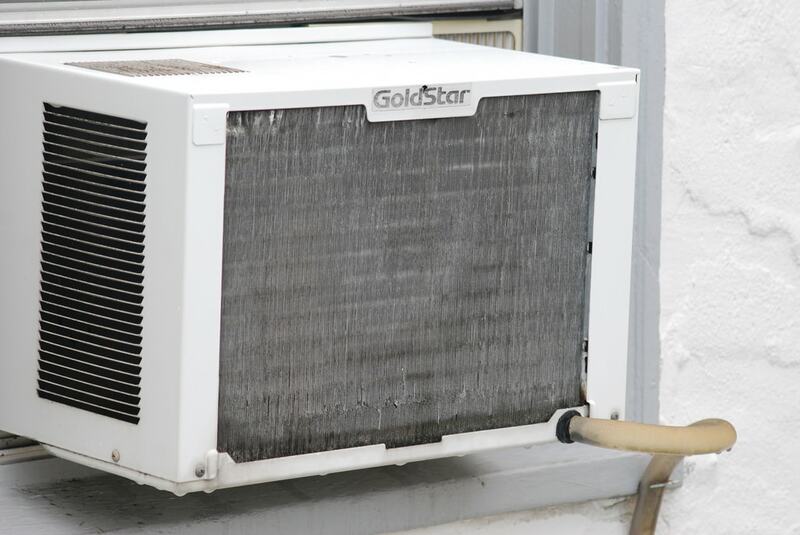 There are a lot of solutions to be getting the cooling and the air conditioning that we need while having cleaner air. And this can come in the form of moving our electricity system toward less-emitting sources, designing buildings that are easier to cool, and having air conditioning units that are more energy efficient. IRA FLATOW: Yeah. OK. So there is some hope for us. Thank you very much, Dr. Holloway. TRACEY HOLLOWAY: Thank you very much. IRA FLATOW: Tracey Holloway, professor of environmental studies at University of Wisconsin in Madison.